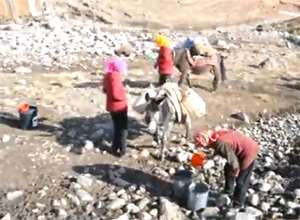 In rural Tibetan communities, fetching water is culturally assigned to women. A woman usually carries about 25 kilos of water. It usually takes about 2 – 6 hours per single trip and this happens every other day. A donkey can carry 60 – 75 kilos of water. Some locals fetch water from springs. In the rainy season, springs are easily flooded and are frozen in winter. Many springs and wells contain harmful bacteria, but locals have little knowledge of this and have no other choices. Fetching water keeps girls from attending school. Consequently, girls’ literacy rate is hardly improved. Poverty continues, and this livelihood cycle is repeated. 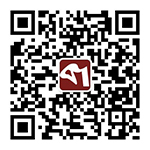 Ganglha is a non-political and non–religious group. Members are from local communities. It implements participatory approaches to survey, identify, design, and execute water, education, health, culture, and environmental small-scale projects. Water is a pressing local issue and one of Ganglha’s priorities. While implementing a project, Ganglha mobilizes specialized local volunteers to carry out the project and trains local people skills in project maintenance, including connecting pipes and managing water. Ganglha members are all locals, thus effective communication and culturally appropriate social intervention ensures successful project results.